Moisture is everything when it comes to natural hair health and keeping your hair from becoming brittle and damaged. Dry hair may be caused by external factors such as sun and wind, heated styling tools, or may simply be part of your DNA. 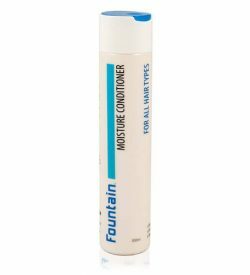 Whatever the reason, you need to show your locks some love with a good hair moisturiser. 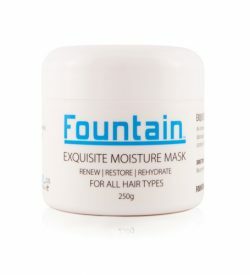 Fountain’s state-of-the-art hair moisturisers repair and restore damaged hair and improve its elasticity and movement. Created by our in house research and development team using the most advanced scientific solutions and the best of what Mother Nature has to offer, our Moisture Shampoo and Conditioner boost your hair’s moisture levels while providing targeted repair to damaged hair to leave hair light and manageable. For extra dry hair, our Flow Detangler is recommended. The lightweight formula penetrates quickly smoothing hair scales that cause tangling, while sealing dry ends and preventing breakage. Natural hair needs moisture way before it feels crunchy and dry – just like you can be thirsty before your throat feels dry. Using our hair moisturiser products regularly can help to lock in moisture and maintain well-nourished and conditioned hair. 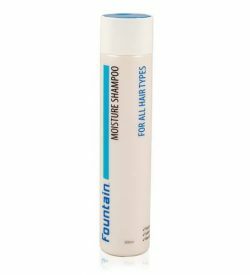 Our Moisture Shampoo, Moisture Conditioner and Flow Detangler are backed by the latest clinical research so you can rest assured your hair will enjoy the very best nutrients available. 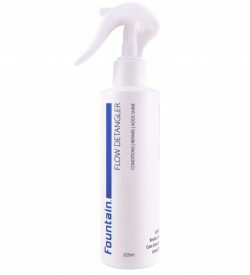 Fountain Flow detangling spray is your solution to knot-free hair. The lightweight formula quickly penetrates the hair for effortless detangling, while its unique keratin blend conditions and repairs. 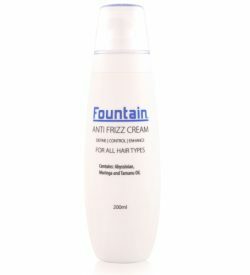 Flow detangling spray helps seal dry ends and prevent breakage. 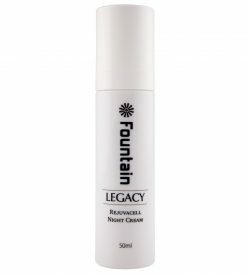 It instantly restores softness leaving hair smoother, glossier and easier to manage. This light, all-natural, leave in conditioner combats frizz and hydrates dry hair. 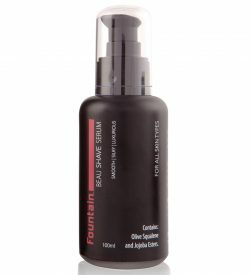 The conditioning serum combines extracts of argan, jojoba and macadamia oils and olive squalene to keep hair feeling soft, healthy and conditioned all day long. The leave in conditioner is suitable for all hair types, and recommended for dry and damaged hair. 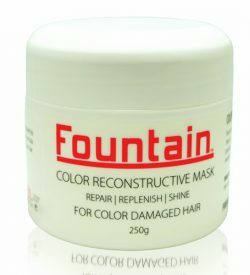 Fountain Color Reconstructive Mask is a revitalising hair mask for damaged hair and weakened hair. This hair mask provides a powerful boost of natural oils and reparative proteins to restore elasticity, shine and strength to hair that has been chemically bleached or exposed to the sun. The special formula in this hair mask for damaged hair provides deep conditioning that goes all the way to the core of the hair shaft, resulting in hair that looks and feels healthy and making it easier to brush and style. 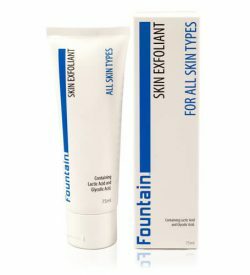 Suitable for damaged, weakened and chemically-treated hair.